Pair this complementary link bracelet with your Karma ring, and you're set! 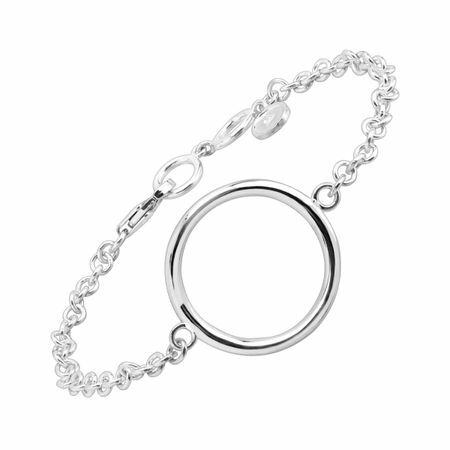 A polished sterling silver ring is held in the center of a classic link chain for simplistic style you'll love. Bracelet measures 7 1/2 by 1 inches in length and features a lobster clasp. Piece comes with a “.925” sterling silver stamp as a symbol of guaranteed product quality.